You are welcome in the heart of Sibiu, the oldest and most romantic square of the town. ... The hostel is great located, the people there is very nice and the place is good. Only two bathrooms to shower. 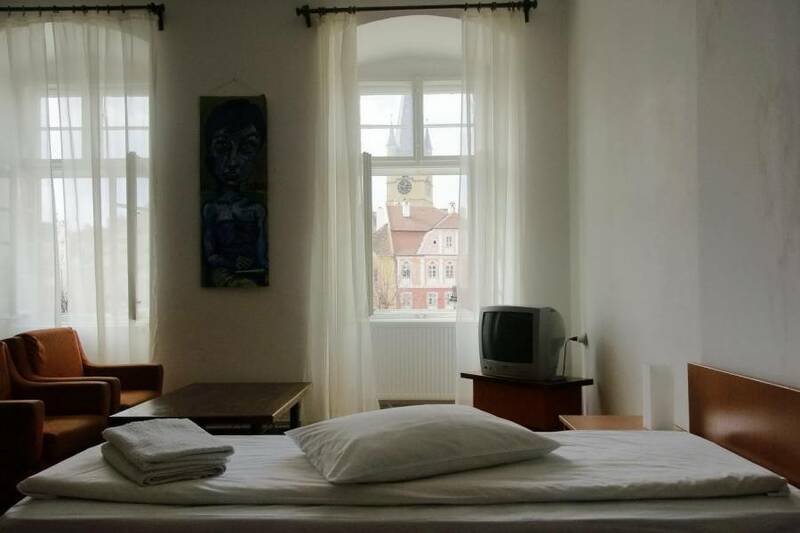 Old Town Hostel Sibiu is located in the heart of the historical centre, in Piata Mica ("Little Square"), the oldest and most romantic of Sibiu squares, in a 450 year old building with Renaissance style arcades, at the first floor above the Pharmacy Museum. This museum holds the furniture and equipment of the oldest Transylvanian pharmacy. There is also a room dedicated to Samuel Hahnemann, the founder of homeopathy and personal physician of the Baron von Brukenthal. We are proud to be the best established youth hostel in town and the most recommended! Our hostel combines its splendid location with excellent services. It is an international meeting point for backpackers, individual budget travellers, families and groups. We offer double, twin and dorm rooms (4, 6 and 8 beds), all with own bathroom, TV, Wi-fi and access to the common kitchen. From the large and sunny rooms you can enjoy a beautiful view on Piata Mica, the charming medieval square with its wonderful architecture and its trendy and cosy cafes. 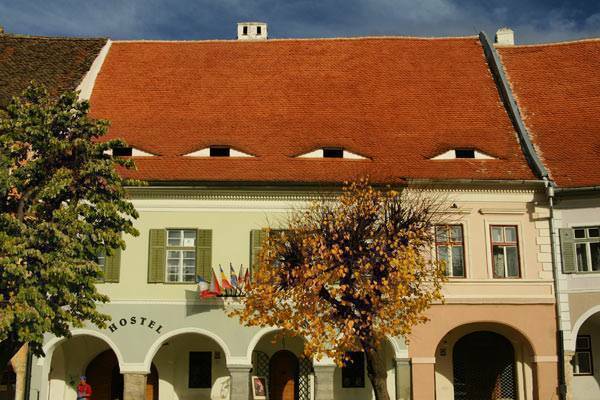 All of Sibiu's amenities (museums, the historical centre with its narrow crooked alleys and venerable old houses) as well as the best restaurants and pubs are at a stone's throw from our hostel. You can visit the Brukenthal Palace with its art gallery and library, the Ethnographic Museum "Franz Binder", the Museum of History, the Museum of Natural History, the Pharmacy Museum. 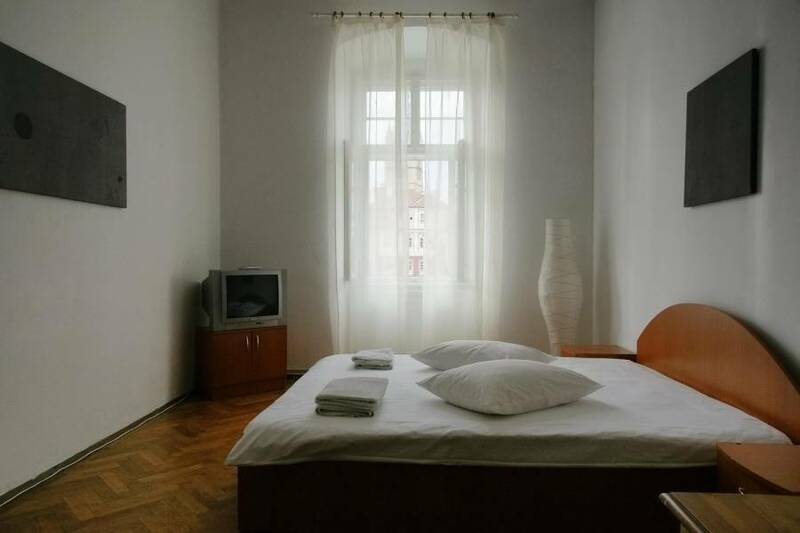 Old Town Hostel Sibiu is located in the heart of the historical centre, in Piata Mica ("Little Square"), the oldest and most romantic of Sibiu squares, in a 450 year old building with Renaissance style arcades, at the first floor above the Pharmacy Museum. you have to walk straight ahead less than 1km, direction city centre to the church towers just uphill into the old city. When you pass by a big yellowclock tower with a gate (on the right side), go through and you are in Piata Mica.